Last week I ran into Glen Plake. Yes, that Glen Plake. I was at Pico (VT) for the on-snow Industry Demo Days, where people in the ski industry get to try next year’s goods. (Yes, it’s a lot of fun). 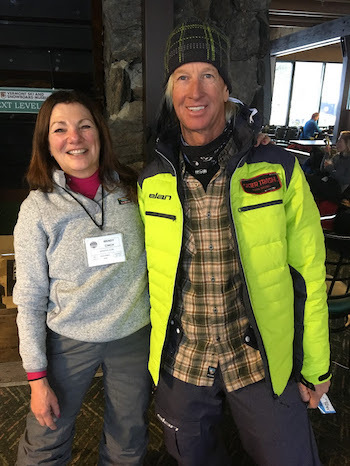 So I’m sitting in the lodge getting ready to remove my boots, and I look up…..and there he is, star of the iconic Blizzard of Ahhhh’s and US National Ski Hall of Famer, Glen Plake. Glen is an Ambassador for Elan Skis, so undoubtedly, that’s why he was there. But there’s another reason, too: Glen’s on his Down Home Tour, and Pico must have seemed like a good place to stop. What’s the Down Home Tour? Basically, it’s Glen and his wife, Kimberly, hitting the road in a custom RV and stopping wherever they feel like skiing. 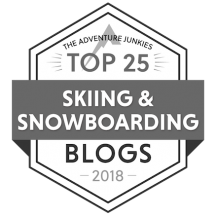 Mostly these are off-the-radar ski areas, with a few larger ones thrown in. But their main mission is to draw attention to the smaller places out there. Because while all of us know about Vail and Aspen and Breckenridge, we don’t all know about Hermon Mountain. Or Black Mountain. Or Titcomb. And yes, even though these are small, they’re very, very important (more about that in a minute). I’ve been following Glen on Instagram since the start of his tour. I’ve seen pictures of him skiing at places like Camden Snow Bowl in Maine, where it looks like you’re actually skiing into the sea; Northeast Slopes, a community area served by the oldest continuously running rope tow in the US; and yes, even Pico, where I bumped into him in the lodge. Me with you guessed it. Which was actually pretty embarrassing, because I morphed from being a fairly articulate, confident person into a jabbering, star-struck idiot. All the things I wanted to say about why I loved the Down Home Tour flew out of my head. Sure, he doesn’t need to hear anything from me, but I wanted him to know that I think what he’s doing has meaning, and that like him, I support the smaller areas out there. And now here’s why it’s important. Skiing has changed a lot over the past decade or so. It’s easy to romanticize small areas, but they’re more than just quaint relics of a bygone era. 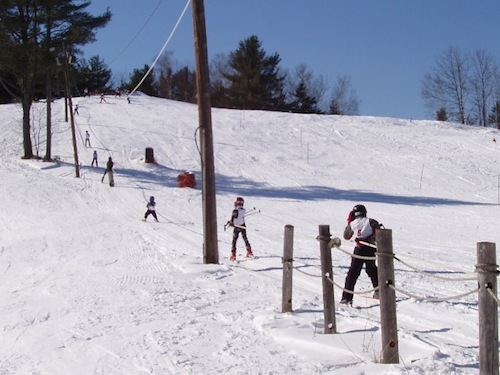 Small community hills are the heart and soul of skiing. It’s where kids and families can have a heck of a good time without sacrificing a week’s pay. Where the important thing is the skiing, not real estate development. And where there’s a measure of character and community involvement that larger, more corporate areas can’t seem to match. 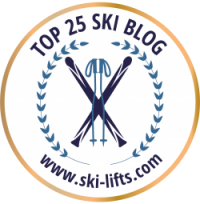 Sadly, though, the recent consolidations in the industry make it harder and harder for smaller ski areas to survive. 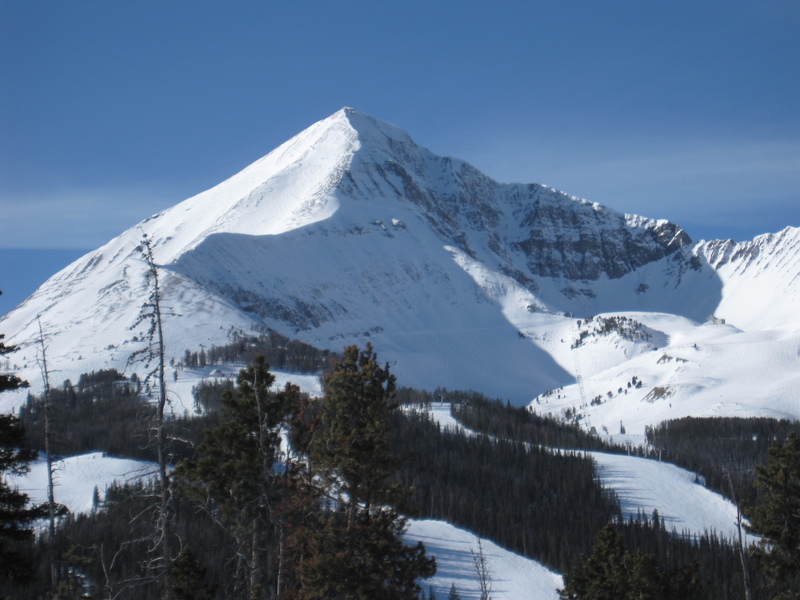 After all, what’s the incentive for a skier to go to a smaller, independent resort, if they can purchase an Epic pass and have access to multiple resorts for the same amount they’d spend for one? And with Vail and Alterra having such deep pockets for investment, how can a smaller area compete? 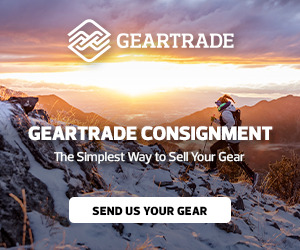 Before you shake your head and say, well, that’s the market at work, survival of the fittest and all, consider this: Since the 1980’s, roughly 33% of US ski areas have gone out of business and up to 150 more are considered threatened by industry experts. Sure, there are a lot of factors that have caused this to happen. Many of these places were smaller Mom and Pop hills. And though they had limited lifts and trails, they also nurtured beginner skiers and served as feeder hills for resorts like Vail. Anyway, Glen, if you’re reading this, I applaud you for what you’re doing. And while I didn’t get to say it during our very brief meeting, thanks for fighting the good fight. I can’t wait to see where you’re going next. PreviousSkiing in the Alps: Ski Vacation Expert Heather Burke breaks it down.